It begins with a fast landing, a frantic search for guns and ammo, then a swift run trough obstacles to the final destination, and it ends with a grand fight that defines the winner. Even if you never played PlayerUnknown's Battlegrounds, you know what this is about – you might have seen the letsplays and memes, or your friend on Steam mentioned it. It’s inevitable given the amount of hype around Battle Royale in 2017. Having no idea about this genre is just as odd as not knowing anything about Hideo Kojima. On the other hand, the success of PUBG and Fortnite has inspired many developers to introduce this mode to their games or make their own Battle Royale with blackjack and female characters. Just take a look at Black Ops 4 and you’ll understand what we’re talking about. So, it’s about time we find out how exactly Battle Royale came to be. What do wrestlers and students have in common? What happens if you mix a popular TV-show with a teenage drama (something like «Lord of the Flies» by William Golding) and add gallons of blood? That question was bothering Koushun Takami, ex-reporter of Shikoku Shimbun news company, back in the 90’s. There reason he started questioning those things might have been the crisis happening in Japan: economy had collapsed, it negatively affected the GDP and led to massive layoffs and increase in crime. This period will later be known as the Lost Decade. And as if economic troubles were not enough, there was also an earthquake in Kobe, and later a terrorist attack in Tokyo subway carried out by a religious group Aum Shinrikyo. 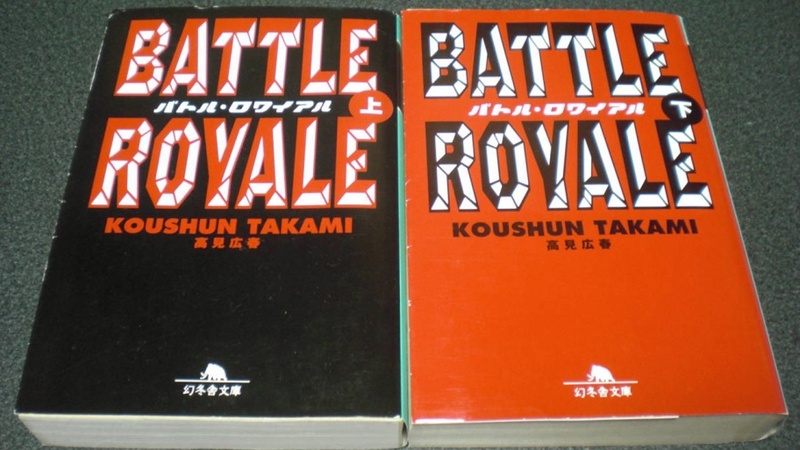 First edition of «Battle Royale» - Japanese booksellers offer it for just about $1,5 dollars. Takami couldn’t just stand aside and watch his country crumbling apart, so he started writing a book named «Battle Royale». The whole concept and the name itself come from a type of fighting in wrestling where 30 men fight on the ring until one of them is left. Takami even put a story of a wrestling fan in epigraph for those who wondered about the source. The book tells the alternative history of Japan: it wasn’t bombed, but apparently it managed to become a socialist heaven, as people refer to each other as “comrades” and rock’n’roll music is banned. The government of People’s Republic of Far Eastern Asia runs a wicked experiment on students: it forces them to fight in their classrooms till the last one survives. Students can’t hide or cooperate to win. You survived? Good for you, get your life-time pension and the dictator’s portrait. You died? Too bad, nobody cares. Takami finished the book by 1996. A year after Japan was shocked by the massacre committed by a teenager named Seito Sakakibara. Ironically, the events of the book take place exactly in 1997. «Battle Royale» wasn’t published yet at that time, but as soon as Koushun Takami sent it to a writing contest, he was blamed for trying to cash in on the tragedy. Takami wasn’t giving up, though, and the book got released in 1999 by a scandalous publishing house Ohta Publishing. The advertisements worked really well: «Battle Royale» quickly became a local best-seller, and when the millionth copy was published in Japan, the book’s popularity tripled and it was translated into 10 languages. To keep up the hype, Takami also published a manga drawn under his supervision. The story of violent teenage fights caught attention of movie director Kinji Fukasaku. His movie «Battle Royale» made the book even more popular than before. The only difference with the book is there is no politics involved: teenagers are forced to fight only because adults are fed up with their behavior. One of those adults is a teacher played by Takeshi Kitano. Actually, if you think about it, the movie makes the idea of a book even more violent, even though the strict rules of Battle Royale are similar. You know what they say: out with the new, in with the old. That was the case with Takami’s book: 9 years later his ideas were revived in «The Hunger Games» by Suzanne Collins. Now there were 24 teenagers instead of 42 competing in a post-apocalyptic USA. «The Hunger Games» tells the story of a world surviving a huge catastrophe, hence the destruction, famine, poverty and a ton of TV shows. A bunch of aristocrats up in Capitol decided to have fun and gathered some lumpen teens from districts to fight in a reality-show. The parallels to «Battle Royale» are crystal clear, but Collins claims she was inspired by a tale of mythical Minotaur who devoured young men and women until he was stopped by Theseus. Whatever it is, «The Hunger Games» was made into a movie and it gathered a huge popularity among teens. The gaming industry also been changing since 1999. In the 90’s gamers couldn’t imagine that you can take the movie you like and make it into a mode for your favorite game. 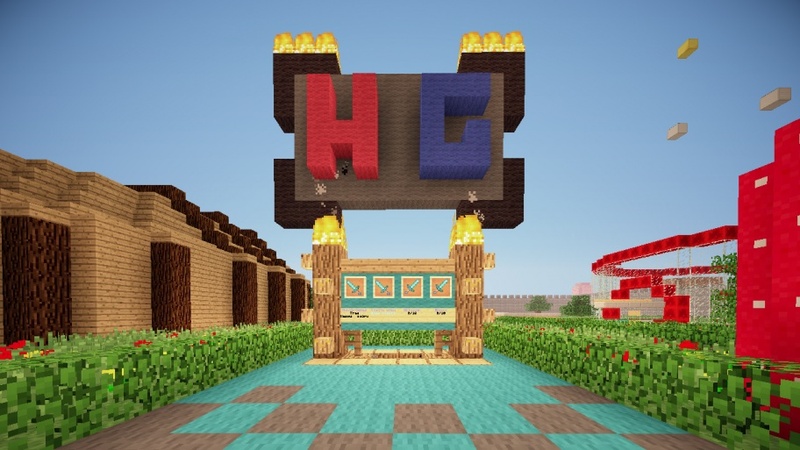 By 2012 those dreams came true: two teenagers known as CliffJameston and Mlamascese52 created a Hunger Games mode for Minecraft. This mode basically recreates the whole «Hunger Games» setting: players appear in the same place and scatter around on the map or start fighting on the place of arrival. The gameplay seems pretty simple as well as graphics – well, you know how Minecraft looks, right? – but it was enough to gather some followers and make this mode popular through Twitch streams. But fan-made game modes only take you so far. If you have a good idea, it should get a proper realization. That’s what Brendan Greene kept in mind when his life-long passion with Battle Royale had begun. Before getting into game development, Brendan had moved from Ireland to Brazil, where he started working as a web-designer, photographer and DJ, and spent his free time gaming. During those fun times he stumbled upon a DayZ mode for Arma 2 and it inspired him immensely. «The first time I played it I didn’t do much – just ran around and tried to survive for four hours in a row. But the beautiful world of this game made this experience really unique », - said Brendan in one of his interviews. Arma 2 is definitely something else compared to Minecraft modes. It gives player an opportunity to drive a car, to enjoy a beautiful scenery, try out different fight tactics and just get lost in endless forests and fields. The rules are really similar to the ones in Takami’s book: the game begins on a small piece of ground, players wait for the signal, grab their ammo and guns and scatter around. In DayZ: Battle Royale there are no «red zones», but there is a narrowing circle limiting the area – players have no idea where the safe zone ends. Will this building stay in the safe area? This tree? Or are we just gonna fight each other in this open field? Brendan Greene realized that this war simulator is perfect for Battle Royale – the gameplay is as exciting as it is unpredictable. Of course, there are no zombies in Battle Royale in DayZ. Nothing worth doing is easily done, though, and Brendan had his fair share of problems. He started with just six servers and he had to reboot them manually, and the narrowing safe zone was made because he didn’t want to get that deep into programming. Still, despite all the flaws this mode got recognized among streamers and letsplayers. That’s when everyone finally heard the name of the creator behind it – PlayerUnknown. 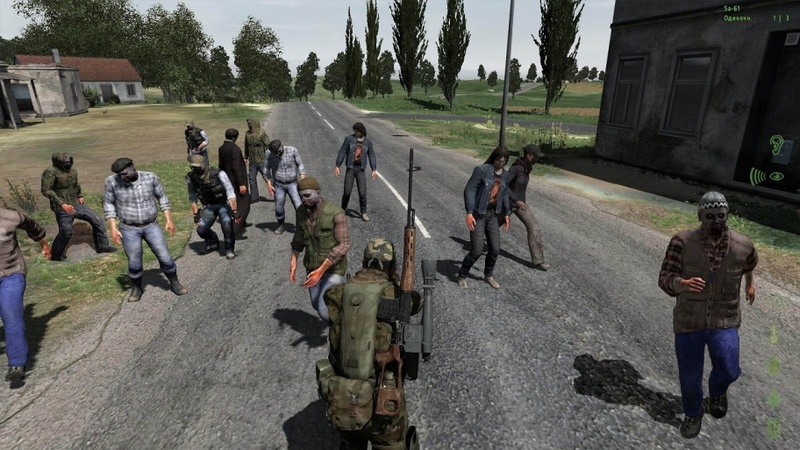 Some time later, in 2013, Bohemia Interactive decided to make DayZ into a full-fledged game and made a special department for this exact purpose. That’s when Greene decided to port his mode to Arma 3 and added an airdrop option – it’s the first time in Battle Royale when players were allowed to pick a spot to drop. That was the beginning of “two years of priceless experience”, as Greene would call it later. Around this time Greene’s work was noticed by huge companies. Greene got invited to Sony Online Entertainment to supervise the team that was working on King of the Kill mode for H1Z1. But this was just the beginning. Soon enough Chang-han Kim, the CEO of Bluehole (the company that brought you MMORPG TERA), offered Greene a studio and money to work on his own Battle Royale game. Who would ever say “no” to such offer? Greene couldn’t miss such an opportunity, so he left the troublesome field of modes and DLCs and moved to South Korea to pursue his career. “Every single game I ever liked was a realistic war simulator. I wanted my game to look like that, to have good firearm physics and air resistance. 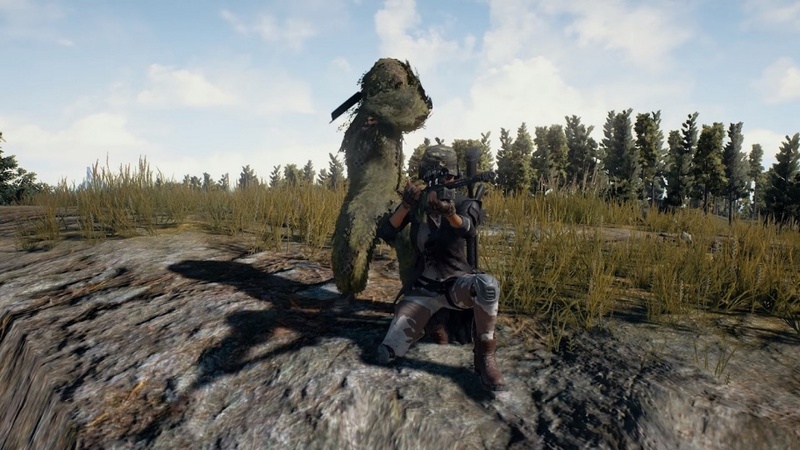 It has to look like I shoot from the distance and I can see the bullet drop”, - that’s the general idea behind PlayerUnknown's Battlegrounds voiced by it’s creator in an interview to Rock, Paper, Shotgun. Brendan Greene went from a developer who depended on someone’s opinion and help to a boss of his own creation. Thousands and thousands of players, airdrop missions to Sosnovka, Rozhok and Pochinki, fights over ammo crates and a handy pan to save your behind– what else do you need for a good gameplay? Sure, PUBG was heavily criticized for a ton of bugs, huge amount of cheaters and sheer luck that often prevailed over the skill. Well, even if all of this is true, it doesn’t matter – Greene had made the most successful unfinished game ever, and ported it over to Xbox One and mobile phones. The amount of sold copies of the game goes far beyond millions. The rise of copycats was inevitable. In 2017 two games competed to get the title of the best Battle Royale game –PlayerUnknown's Battlegrounds and Fortnite. PUBG is more realistic: you have to learn to shoot from SKS before actually using it and you have to practice driving to increase the skill. Fortnite is shareware and far less serious in it’s nature: cartoonish style, ability to build walls and stairs mid-fight and ballistics are half-assed. So those who got tired from cheaters and difficulties of PUBG moved over to Fortnite. Why not? It’s basically free! The only problem is that rivalry in gaming industry is unavoidable. As Fortnite grew popular among Twitch streamers, the head of Bluehole got tired of it. Even though Brendan Greene keeps saying he’s not claiming all the fame for inventing the genre, his bosses are not seeing eye to eye with him. The shots companies fire to each other are rare but precise. First, Bluehole asked: why does Fortnite have the same airdrop system as PUBG? As an answer Epic Games changed planes in their game to a school bus on an air-ballon and parachutes to hand gliders. And then they just nonchalantly claimed that PUBG is built on Unreal Engine 4 which was made by Epic Games, and so Bluehole should stop complaining about plagiarism. Who steals from who is still an open question. While those two giants were busy arguing, everyone else got on the Battle Royale bandwagon. It turned out that many developers were stalking Brendan Greene’s rise to his fame and secretly were working on their own games. The Culling that was presumed dead came back to life – it allows only 16 players on arena, but you can use melee weapons and make a spear out of nothing. The Darwing Project also came back to light - it’s a sort of reality show where players have to fight each other and survive in harsh conditions. Many games introduced a mode similar to Battle Royale, such as GTA Online, Rust and Crossout. Even Cliff Bleszinski, who left Epic Games earlier, couldn’t miss the hype and released Radical Heights. The biggest amount of copycats was found in China. PUBG was illegal there for some time because Steam is banned in China. A company named Tencent decided to go through all the troubles of legalizing the game but it was too late. It’s not like there was a low interest rate in PUBG – it’s quite the opposite. You see, when Chinese can’t get something they create it themselves, adding some local specifics, like deleting blood splatter from shooters. The names of the PUBG clones are really out there: Rules of Survival, Free Fire Battleground, Survival Battle Royale, Last Battle Ground Survival, Play unknowingly Battleground. Choose whatever suits you. Now, you can treat Battle Royale differently. You might take it with a grain of salt and see it as a temporary fad, or you might view it as an improved Last Man Standing mode or as a huge step for game design industry. Still, you can’t just be indifferent to it. And all is fair in the world of Battle Royale: would anyone buy PUBG if similar freeware games were better than it? Would CoD: Black Ops 4 introduce this mode into their game? Don’t think so.